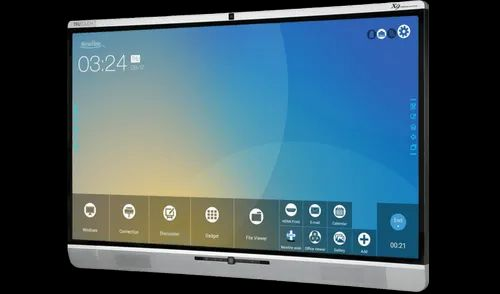 Autosenz has realized that Interactive Display Solutions are replacing the traditional Whiteboard / Projector & Displays rapidly due to its advanced features, user experience, and collaboration functionalities. 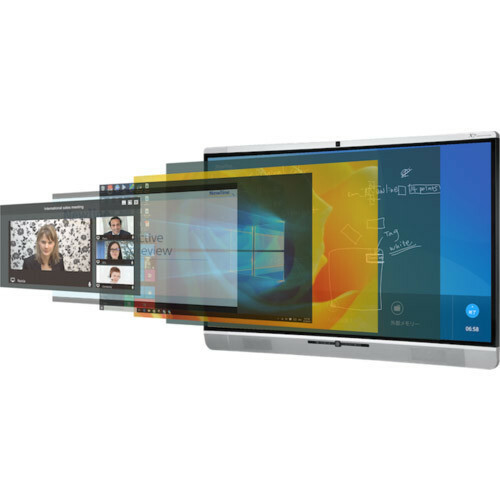 Autosenz are the Traders of Interactive Display solutions from reputed OEM's such as BenQ & Newline. 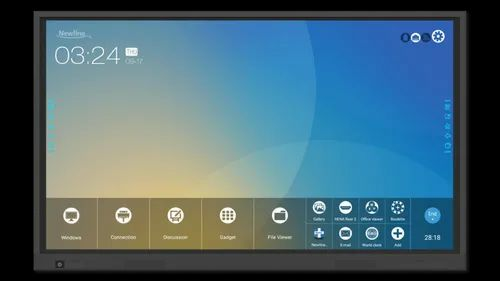 Autosenz also offers Interactive Display Solutions from other reputed OEM's such as Samsung, LG, Panasonic, Clevertouch, Hyundai, Hitevision Globus etc. 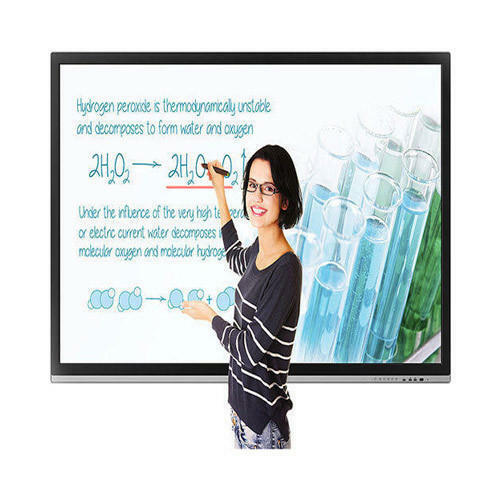 The Professional Display solutions have LED display along with true Full HD display to give a brilliant and enhanced presentation experience. It comes with super stylish looks combined with low running cost. These are available in varied sizes of 40", 55", 65",75", 80", 86" and 98". Our Professional LED Displays adopts LED backlight which offers lower power consumption and better heat dissipation thus producing less pollution on disposal. 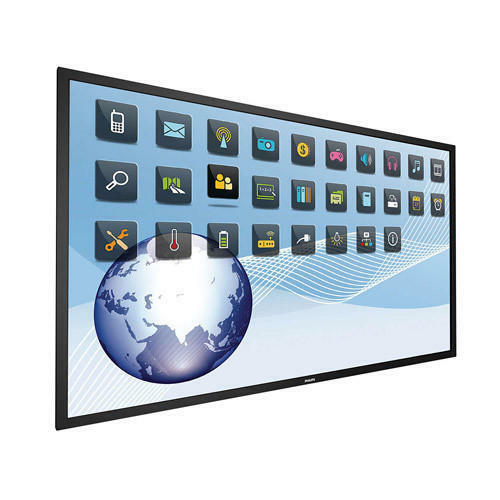 Globus professional LED displays also has optional wireless Interactive Presentation Solution. It stands out with its ability to connect to external gadgets without any external power source. The Full HD Display feature gives better display resolution, sharp contrast ratio resulting in enhanced readability. We inspire customers by delivering high quality, crystal clear, impactful content display and rich images for an alluring visual experience. 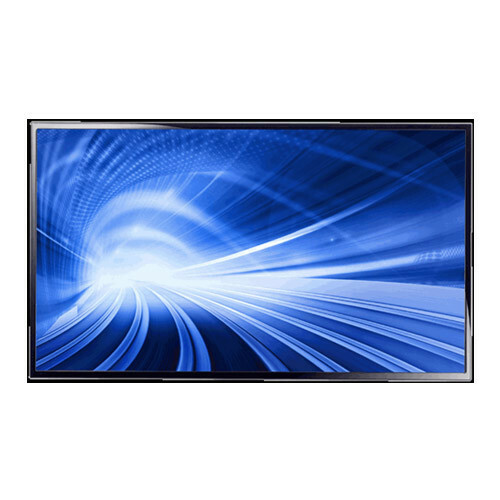 The sleek design makes it perfect for the display of larger images in a superior environment. 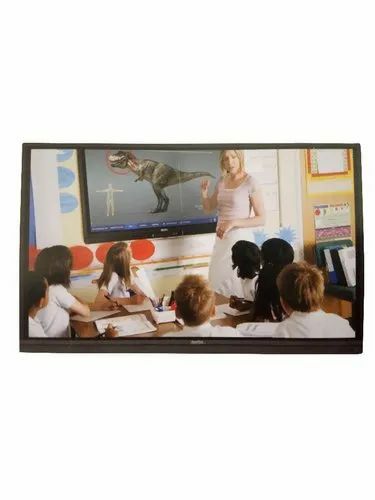 Globus professional Full HD Display panels have advanced feature of Built In Media Player and come with special prelation of AV Input/Output and light sensors detector installed in front to make it easy to use. Our Professional displays have higher reliability, longer product life and are designed for easy and long duration continuous operation. Experience amazing interactivity with true Multi-Touch. ... The Multi-Touch displays are enabled with automatic touch recognition. ... See your Signage Solutions like never before thanks to four times the resolution of a conventional Full HD display. 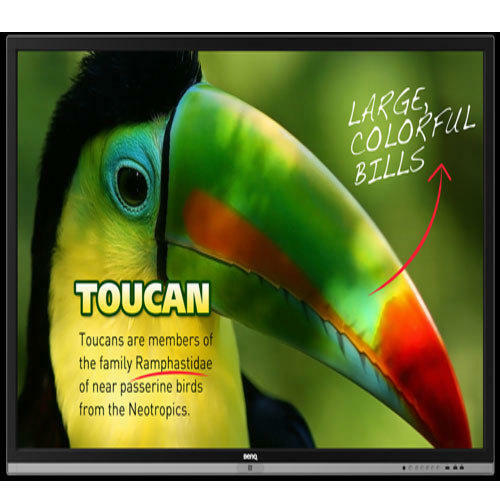 Newline Interactive Display TT - 6518VN - 65"
Model TT - 6518VN - 65"
Newline Interactive Display TT - 6518RS -65"
Model TT - 6518RS - 65"
Newline Interactive Display TT - 9818RS - 98"
Model TT - 9818RS - 98"
Newline Interactive Display X8 - 75"
Model Newline Interactive Display X8 - 75"
Newline Interactive Display TT7518VN - 75"
Model TT - 7518VN - 75"
Newline Interactive Display TT8618VN - 86"
Model TT - 8618VN - 86"
TRUTOUCHUpgrade your classroom or conference room with the latest in collaboration. 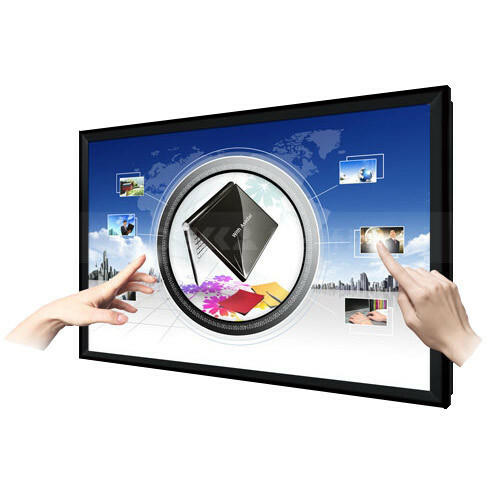 TheTRUTOUCH FB Series interactive display combines cutting-edge interactive technology with a display that is easy for anyone to use. Take notes with your fingers or a pen during meetings as smoothly as interacting with a smart phone or tablet. 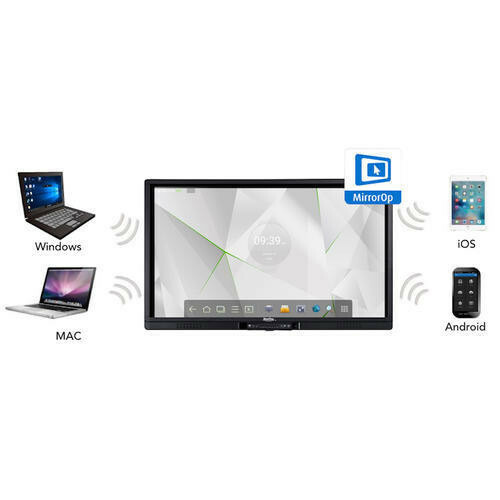 With high-definition resolution, TRUTOUCH FB Series brings your presentations to life with clarity and industry-leading brightness. Comes in 65”, 70”, and 80” screen sizes. Upgraded Android system is more intuitive and customizable. Multi-touch technology lets more people get involved at one time. Just use your fingers, or a non-proprietary pen to interact with the display. Anti-glare glass technology combined with backlit LED provides clear images. 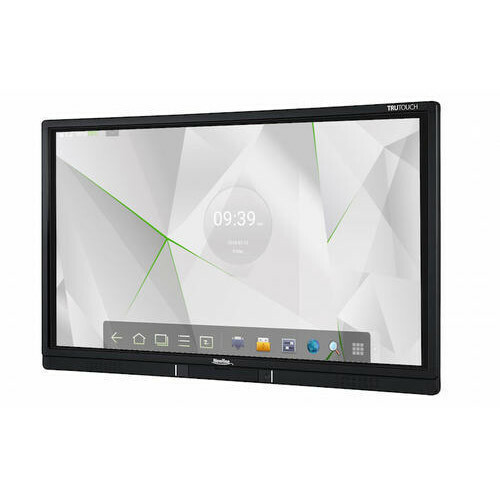 TRUTOUCH UB Series Interactive DisplayTake collaboration to the next level with a single impressive interactive display.TRUTOUCH lets you experience meetings and presentations on a touch screen that redefines clarity. With multi-Touch technology on a larger scale, TRUTOUCH displays allow multiple team members to work on the screen at once. Simply annotate on images, utilizes a basic whiteboard application and more without needing to download software to any of your own devices. 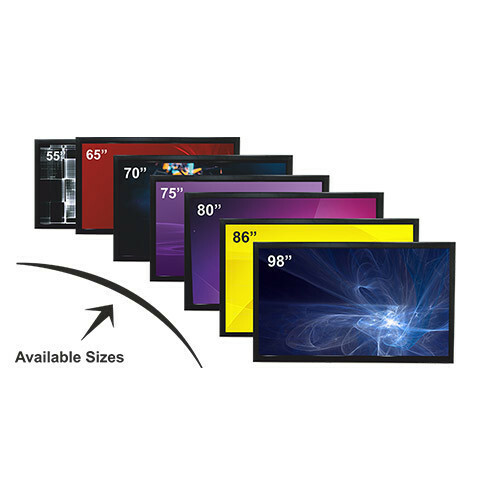 • Comes in 65”, 75”, 86” and 98” screen sizes. 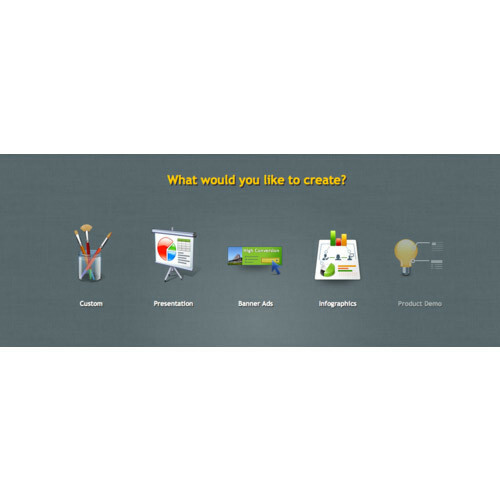 • Collaborate with anyone, anywhere no matter what device or system they use. 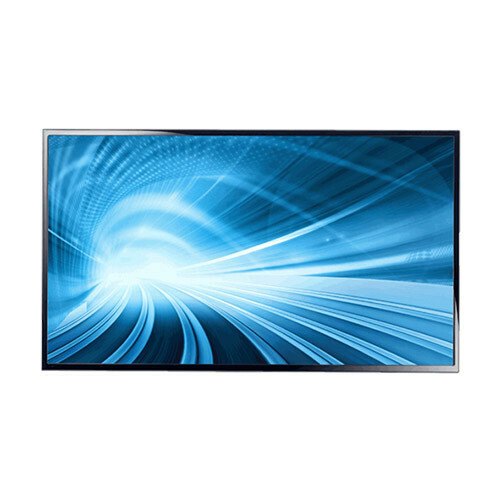 • 1080p and Ultra-High Definition resolutions give your presentations quality clarity. • Backlit LED provides the sharpest and clearest image for you to show off your innovation. • No need to worry about losing a proprietary pen, just use your fingers. • Android system allows the display to be both on-network and safe for guests to use. 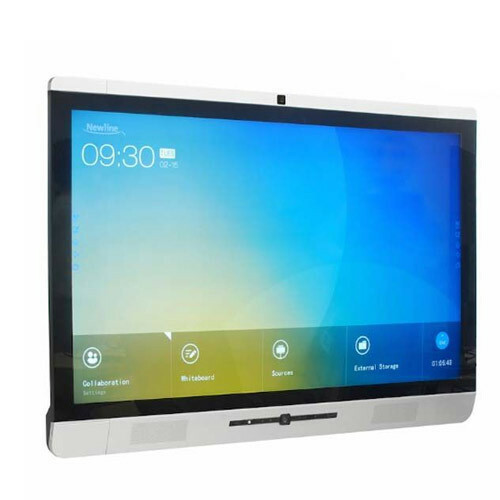 TRUTOUCH comes with an Open Pluggable Specification, or OPS, slot giving you the ability to have a computer integrated into the display, no extra devices needed. Experience a screen with a full operating system that works simply for more interaction and success. In addition, each display comes with a built-in Android system that is accessible by a simple swipe up from the bottom of the screen. Simply annotate on images, utilizes a basic whiteboard application and more, without needing to download software to any of your own devices. 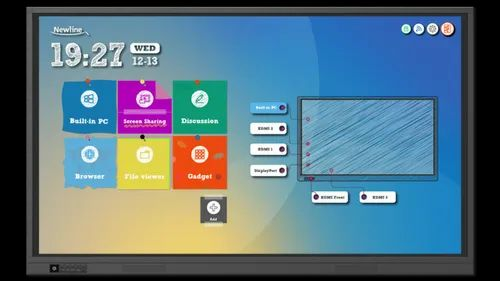 TRUTOUCH X Series Unified Collaboration SystemExperience meetings on an interactive display that allows for the whole team to interact without limitations by sharing not only voice and video, but also data and annotation. 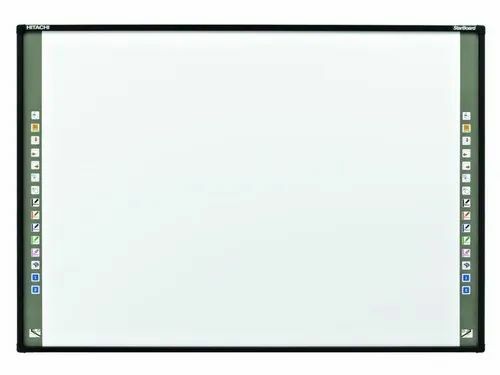 Take notes on a digital whiteboard with the most comfortable writing experience available on a touch screen and share information all with one button. Collaborate with anyone, anywhere no matter what device or system they use with the TRUTOUCH X Series' non-proprietary all-in-one design that combines advanced technology with elegance. From taking notes to sharing ideas, your company is always one button away from collaboration like you’ve never experienced before. Comes in 55”, 70”, and 86” screen sizes. Use the Unified Collaboration (UC) software of your choice and collaborate with anyone, anywhere in the world. Our non-proprietary design means that our interactive display will work in your world, and not force you to work in ours. Hold a videoconference, take notes during a meeting, or share a presentation, all with your preferred software. The TRUTOUCH X Series features two 1080p wide angle cameras that allow anyone to feel as though they are in the room with you, no matter where you are in the room. With cameras on both the top and bottom of the interactive display, select the view that gives you the best image of the room for your personal setup. A 4-element microphone array with built-in echo cancellation and noise reduction provides sound that is always robust and clear. Model Newline Interactive Display X6 - 65"
Newline Interactive Display X9 - 86"
Model Newline Interactive Display X9 - 86"
Newline Interactive Display TT - 7519i - 75"
Ad FilmsCreative excellence and bold storytelling is our forte!Ad film making is an art that’s perfected only by thorougly understanding the target population and exhibiting sheer creativeness to move beyond the conventional styles of advertising. We focus on both these aspects to create brilliant ads that people love watching! One of the musts for businesses is conveying relevant content and information to the consumer in such a fashion that it keeps the company in the forefront of the consumer’s mind. Need to sell something? Ebay is among the first companies you think of – and it’s not just because of their stellar reputation for selling things – it’s because they push digitally relevant content to consumers outside of their core business of selling things. Many big companies are now concerning themselves with keeping “on trend” and finding out what consumers are really following and pushing relevant, pertinent content out to them. This act of reaching outside of their immediate core business but pulling in relevant, peripheral information has many businesses focusing on different ways of communicating this information that is not in the stereotypical way of old – i.e. email blasts, tweets, and Facebook updates. While these forms of social media are still the best methods of mass communication for business it’s so much more important for companies to create digital content that may spawn on a particular website or social media outlet but can go viral on other platforms such as Pinterest, Tumblr, and influencer blogs in very organic ways. One of the most on-trend ways of communicating this information are infographics which allow companies to break down seemingly complex and verbose data and information into visual representations with minimal text. Our Company will handle all related function through an advertising partner. Graphic design, contents writing and creation are vital elements of the overall ad program. Looking for “Interactive Display Solutions”?